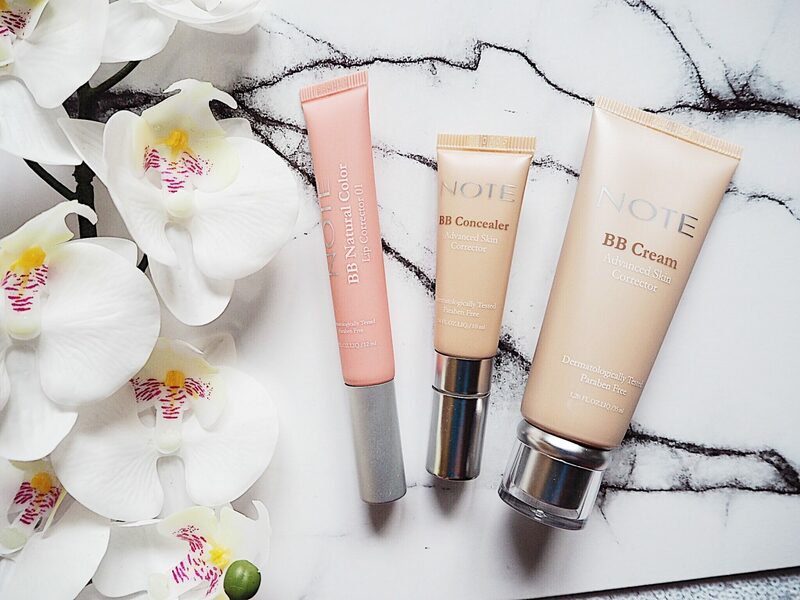 Note Cosmetics have a beautiful BB range that I wanted to write about today. I’ll get to that in a moment. First lets talk a bit about Chicken Pox. The only positive of having a child with Chicken Pox is getting to lie on the bed all day writing blog posts. I set a schedule of writing at the start of the month and well, it went right out the window. It has been one thing after another here in the O Connells. Finn is doing great but is a teeny bit clingy! As a result, Mommy here is expected to not move five inches from his side. I’ve taken the opportunity to catch up on a few of the posts I wanted to write. Silver linings and all of that positivity, right?!!! As if the girls at Note Cosmetics knew I had been lost in a cloud of Chicken Pox neglect, I received a box of new goodies to try yesterday morning. I have a basket of products waiting to be photographed and written about. I’m weeks behind. 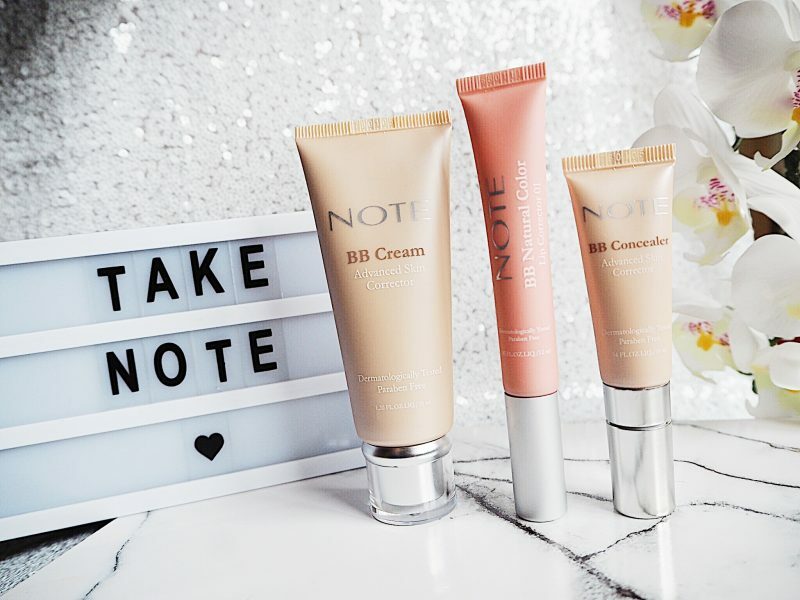 The Note Cosmetics BB range jumped to the front of the queue because the second I tried them on my face it was love. At first sight. 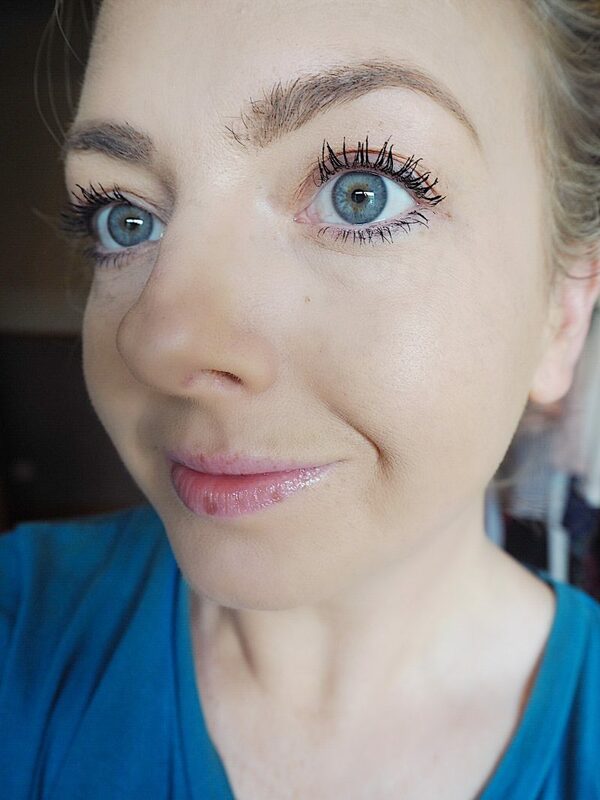 I always get asked about summer friendly makeup and Ladies, here is your answer!! The sun is out and we do not want anything too heavy on our skin. That is where the Note Cosmetics BB Cream comes in. 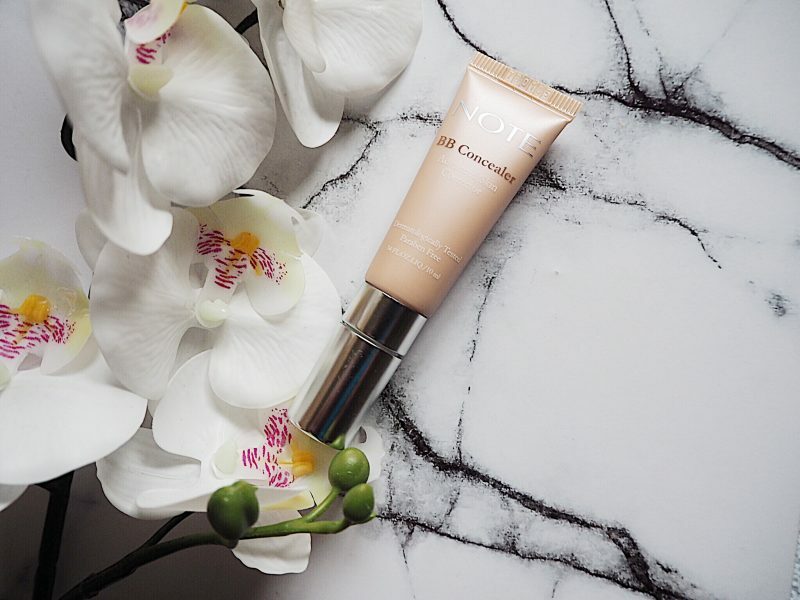 It claims to have high coverage, rich pigment and hydrating properties. All of those claims are true and more. I used no primer. 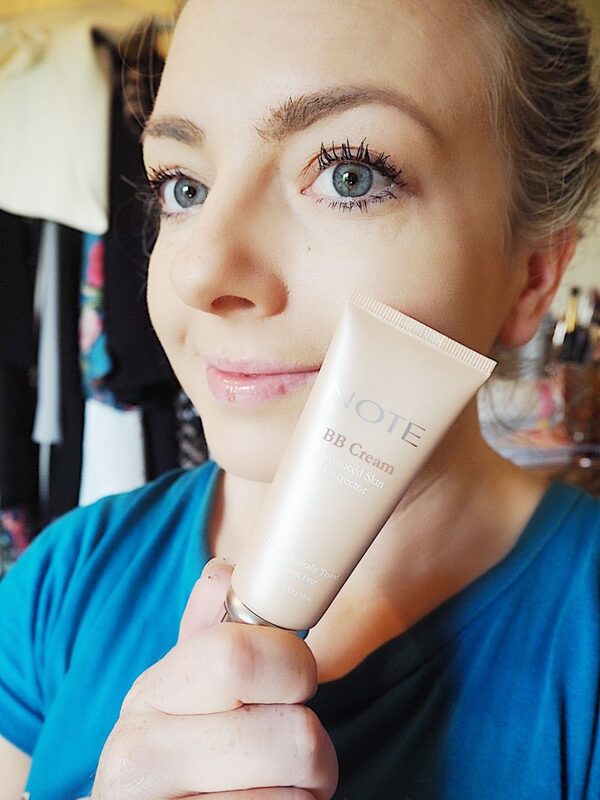 The coverage is as good as any foundation I have tried but without any caking or feeling of heaviness. 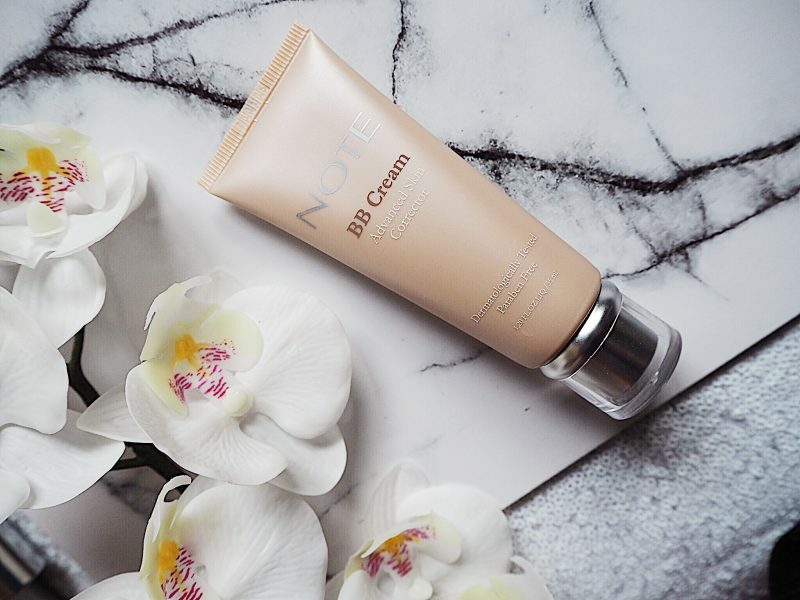 It immediately smoothed out any areas of uneven skin tone and redness. The Product felt like nothing on the skin. Did not settle into my creases and dried to a satin finish. I highly recommend this as one of my new favourite bases. Let me tell you about this absolute WONDER product. First of all it comes with a cooling metal applicator. 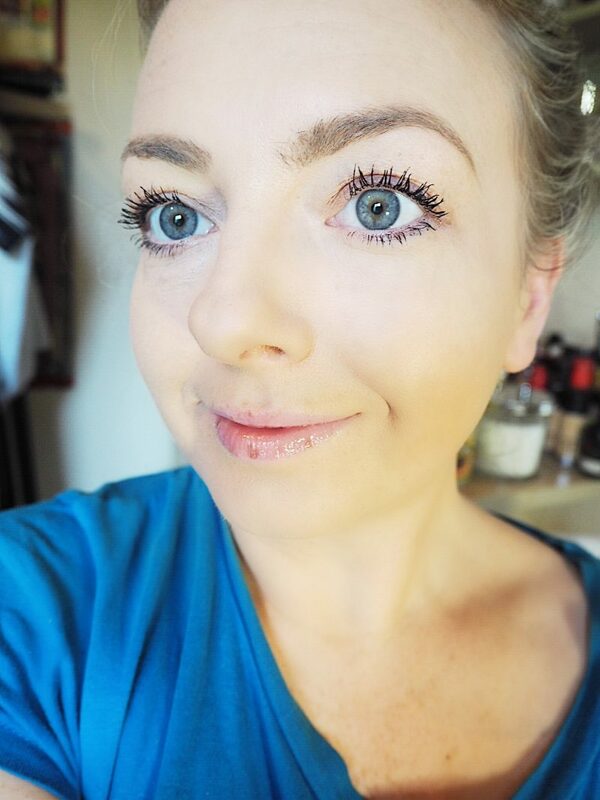 I love those applicators! On a hot day like today I found it cooling, soothing and de-puffing. I have already told you I’m a sleep deprived, chicken pox mama and this erased all traces of that! It erased all of my darkness without feeling heavy or creasing. 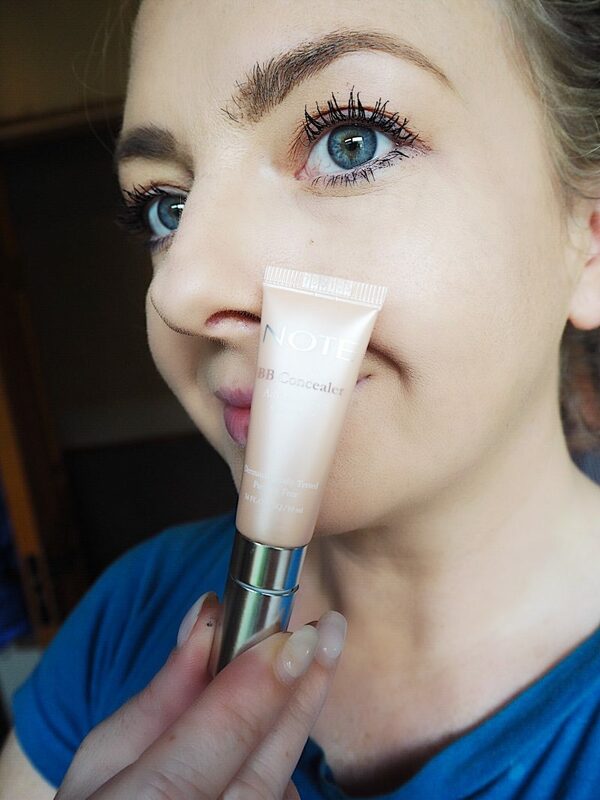 If you buy one concealer for summer let it be this one! 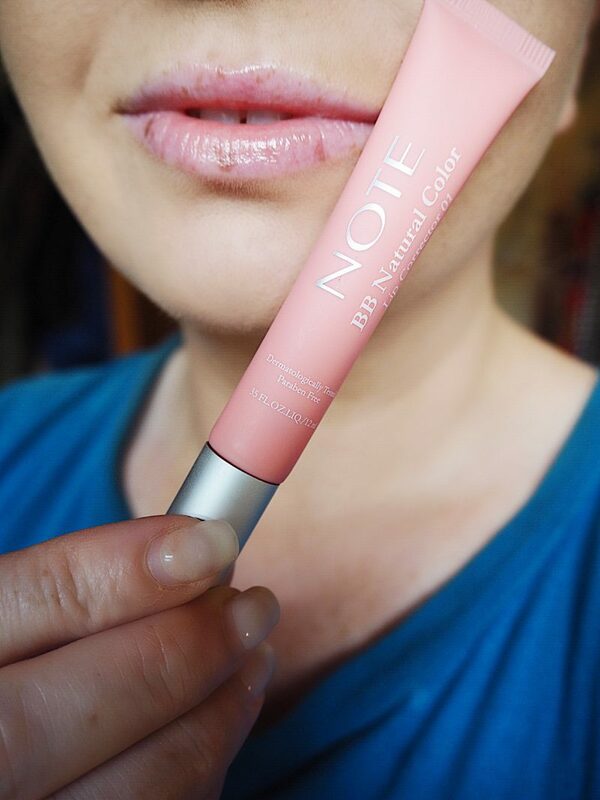 I have very dry lips and I found this product so soothing. It is designed to deliver moisture and boost collagen. 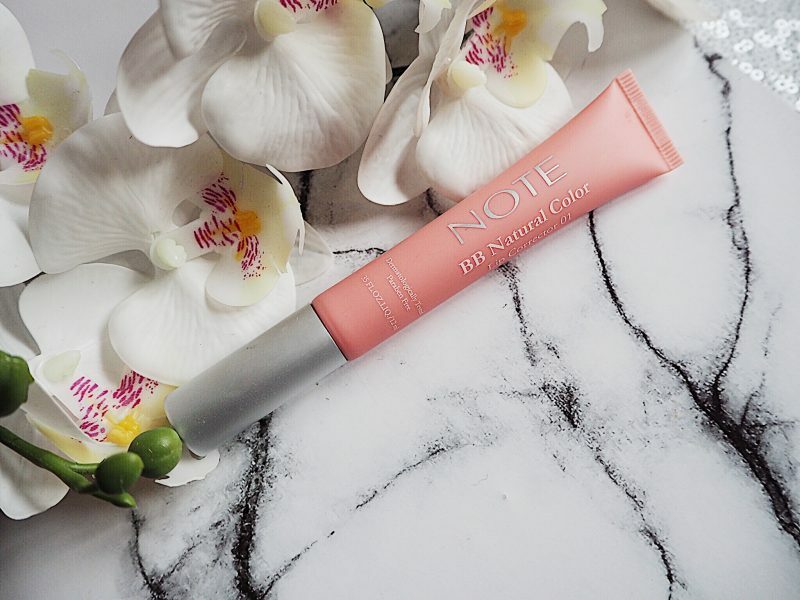 Who doesn’t want more youthful lips? This lasted so well for a gloss. 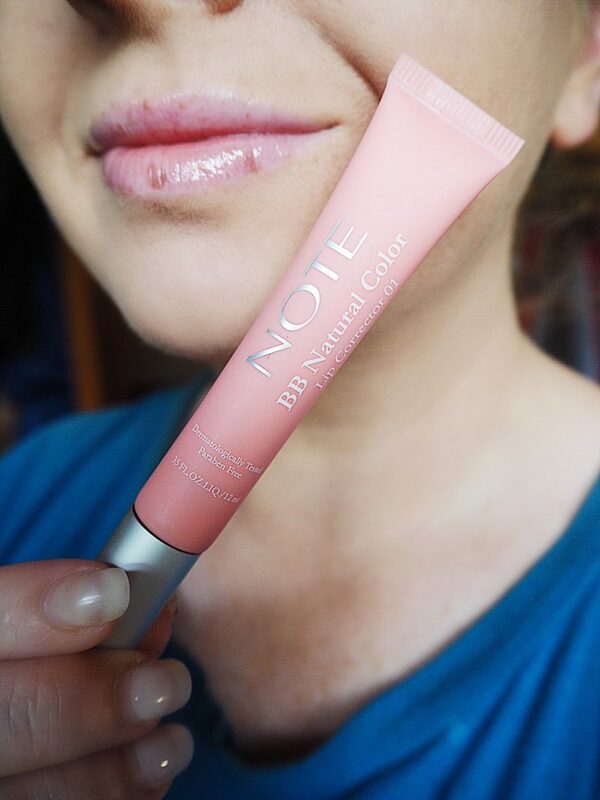 My lips felt plump and hydrated long after the gloss wore off. I would purchase this in all available colours and repurchase once I’ve run out. 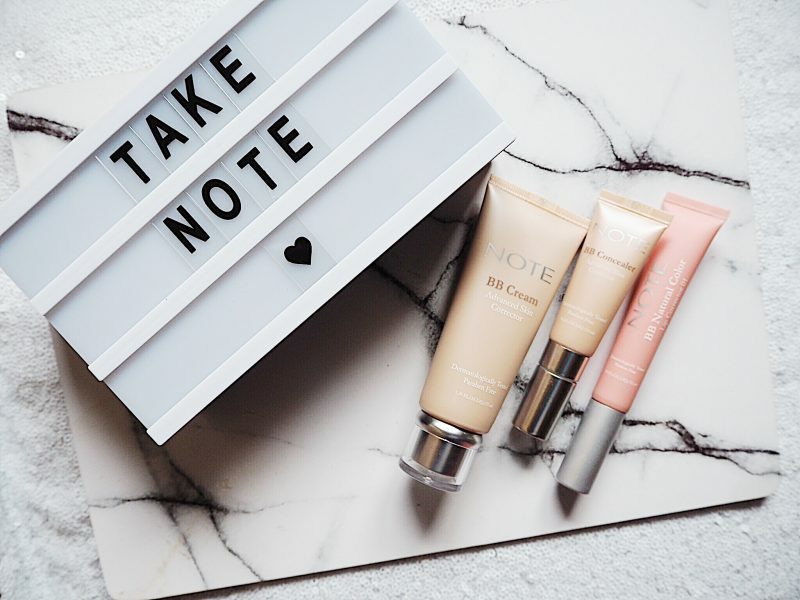 Chemical Exfoliation – Glycolic Retinol Enzymes Oh My!